Looking past the gates towards the basic goods yard with the line to Moreton-in-Marsh curving away to the left. 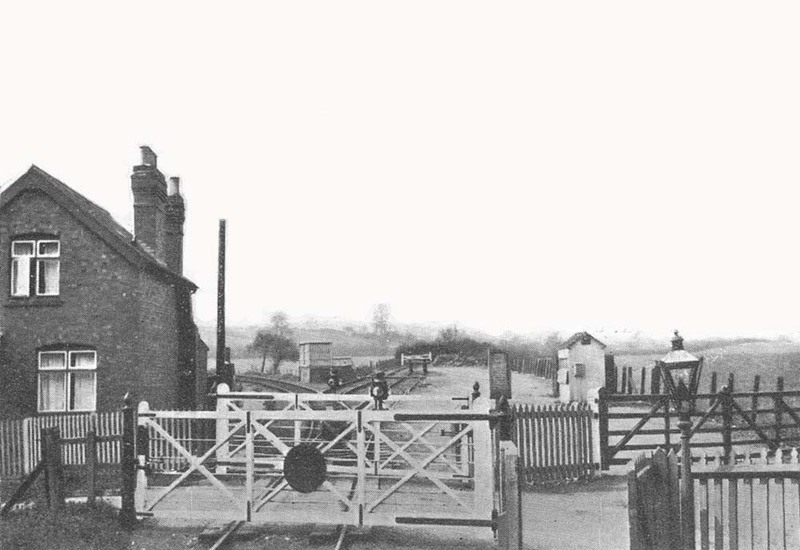 The two sets of rails in the yard include the original line to Stratford-upon-Avon which is on the left. The lamppost on the right appears to be lit by oil.